And the entire idea isn’t that far-fetched, as it has already started happening. For instance, tires on cars whose only purpose was to make sure the car moves forward safely, have now become data generators that communicate with the car’s electronic brains. Smartphones have accelerated this transformation and taken away control from standalone automation tools such as mechanical or electronic timers in ovens or air conditioners. Home automation powered by IoT and controlled by handheld devices is now being widely adopted. And it goes beyond just home automation. Industrial automation has been growing for decades, becoming extremely sophisticated. The introduction of communication technologies brought by IoT has enabled highly accurate decisions to be taken through the use of computer technologies churning on data. Information is becoming more proactive as the capacity for gathering, transmitting, and processing the number of physical parameters increases. Transmission had been a major hurdle, but that is changing thanks to standardized protocols, security breakthroughs, and technologies that enable higher bandwidth communications such as 4G LTE. Every industry is being and will be affected by the wave of modernization, even the sectors that are typically wary of adopting new technologies and prefer age-old techniques for core functions. The modern digital field is being heavily influenced by concepts such as Big Data and Artificial Intelligence, all due to the data handling capabilities introduced by IoT. Exploration is being taken over by wireless drones, while reservoirs are being monitored through nanosensors, enabling true predictive analysis to be carried out. 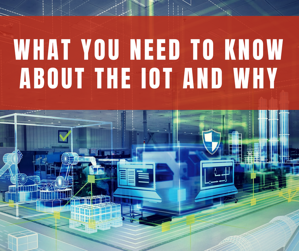 IoT integration increases the efficiency, safety, productivity, and economic throughput of a business, industry, or enterprise. And there’s still more that IoT will bring to the table for businesses, and the sooner companies accept it, the better for those companies in the long run.